Chinese smartphone maker Honor has announced a new flagship device dubbed as the Honor 10 GT, an improved version of the Honor 10 that was launched in April in China. The Honor 10 GT will be launched in China on July 24 and is expected to go on sale soon after the launch. The Honor 10 GT has 8GB RAM, up from the 6GB found on the Honor 10. Other additions include GPU Turbo and AI intelligent stabilization. The Honor 10 will also receive the two new features. GPU Turbo promises 30% less power consumption and over 60% boost in processor efficiency. Currently, the GPU Turbo feature is being tested and the AIS will be available for beta testing starting from July 12. 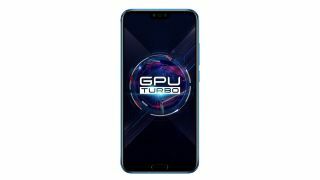 As per reports, the GPU Turbo feature will be rolled out for the Honor 10 starting from July 15 and the AIS feature will be available by July end or early August. Considering that the Honor 10 will receive two out of the three additions to the Honor 10 GT, the newly announced device may not seem like a very big upgrade as the only difference will be in terms of RAM. The success of the 10 GT will depend on the price difference between the two devices and a major difference may be a deterrent for customers. The Honor 10 GT runs on Android 8.1 Oreo with EMUI 8.1 skinned on top and features a 5.84-inch full HD+ 2.5D curved IPS LCD display with a resolution of 2240 x 1080 pixels and an aspect ratio of 18:9, which is the same as the Honor 10. In terms of performance, it is powered by an octa core Huawei Kirin 970 SoC coupled with Mali-G72 MP12 GPU. In terms of memory, the device will be available in one variant only with 8GB RAM and 128 GB internal storage. The Honor 10 was launched with 6GB RAM and 128GB of internal storage. Coming to the camera department, the Honor 10 GT features a dual camera setup at the back consisting of a 16MP RGB sensor and a 24MP monochrome sensor with f/1.8 aperture, phase detection autofocus, depth focus and an LED flash. On the front, the device sports a 24MP selfie camera with f/2.0 aperture. The Honor 10 GT is powered by a 3,400mAh battery with fast charge support and connectivity options on the device include Dual 4G VoLTE, WiFi 802.11ac, Bluetooth 4.2 LE, GPS, NFC and a USB Type – C port. It sports a front mounted fingerprint sensor and has a infrared sensor too. The Honor 10 GT is scheduled to launch in China on July 24 and currently there is no information about the pricing and availability of the device.